Facebook to take on Foursquare with location tracking app? Facebook stalking could take on a whole new meaning if reports prove true that the social media giant is developing its own user location tracking app. According to a Bloomberg report, Facebook is developing a location tracking app for smartphones that would help users keep tabs on where their friends were at all times. Facebook already has a feature called Places as part of its mobile app, which lets users check into locations similar to Foursquare, but the new app would go a step further. One of Bloomberg's sources noted that the app would remain active even while not in use, similar to Apple's Find My Friends feature, to keep track of location data at all times rather than just when someone checks in. 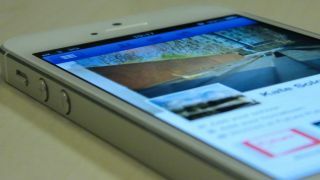 The proposed app raises several privacy concerns, among which is the relationship between location data and advertisers. According to Facebook's data use policy, "We may put together your current city with GPS and other location information we have about you to, for example, tell you and your friends about people or events nearby, or offer deals to you that you might be interested in. We may also put together data about you to serve you ads that might be more relevant to you." While this is already part of Facebook's data use policy, the prospect of having it come into play while a user's location is under constant surveillance raises concerns. It's also possible that since this is already a policy that all Facebook users agree to, a location tracking app may not need to ask for additional permission before keeping tabs on user whereabouts. While Facebook may become more transparent about tracking user locations in the new app, it is also becoming more transparent with how its ads are tracking users. Facebook ads based on browsing history are nothing new, but a recent agreement with the Council of Better Business Bureau mandates that those ads must notify users that they use tracked user information. Of course, the way in which notifications appear is fairly obtuse. When clicking on the "x" icon to close a Facebook ad, the dropdown menu will now display an AdChoices icon to indicate that it appeared based on browsing data tracked by the ad. The icon will take users to a page where they can opt out of future ad tracking, though the process will have to be done with each individual advertiser that appears, and there are dozens of them. It may take a while for the policy to go into effect though, as the agreement outlines that notifications should be up and running by the end of the first quarter in March.